On Sunday 10th July 2016 we attended the Cowley Road Carnival. The theme this year was celebrating 100 years of William Shakespeare. 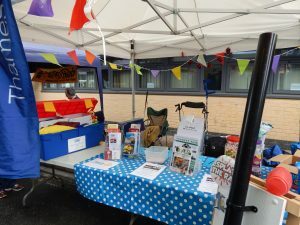 We set up our stall early in the morning and though the sun was shining the weather was mixed but that didn’t stop us getting set up with our Splat The Rat Game and the free Amazon prize draw. 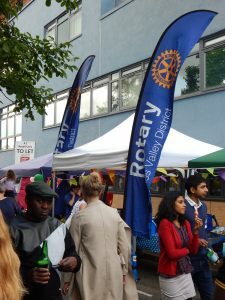 The atmosphere was hopping and we found ourselves next to the Oxford PHAB club and were able to hear how the money we raised in previous years had helped them. 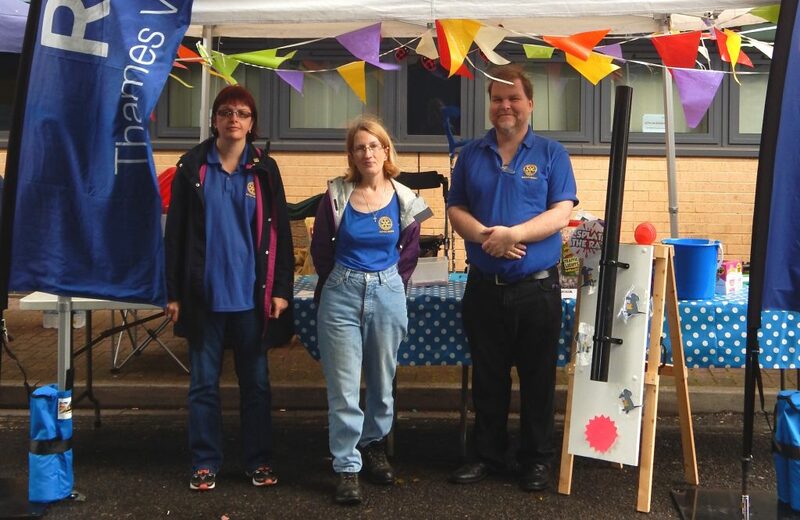 The crowds were thronging and we had lots of people asking about Rotary and entering the prize draw but our biggest attraction with all ages was the Splat The Rat it was a real hit quite a few people came back for second goes. 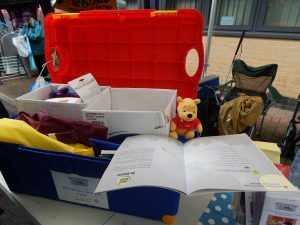 We had Literacy in a box on display and were able to explain the significance of what it does as well as tell people what we do as a club from The World Pooh Sticks to Truck Festival and also about The Purple 4 Polio campaign. The music at the carnival was from all parts of the globe and really kept the buzz going we were sad when the day ended and look forward to hopefully attending and being part of the vibrant community once again. More photos can be found in the gallery section.